Throughout my entire life people would listen to me talk in my animated tone, and approach me to ask me if I was in sales. The thought of being in sales did not appeal to me and I would always say “no” and be greeted by the “well you should be, you’d be great at it!” response. I will admit that I have categorized sales people into the three main categories, slimy car salesman, irritating infomercial salesmen and those incessant door to door salesman. It wasn’t until I launched my own coaching business that I realized sales doesn’t have to be slimy, pushy or uncomfortable. If you’re passionate about the work you’re doing, and you feel its your souls calling then you’re providing a much-needed service to your ideal clients. I hired a business coach in early January to help me with selling and master the one aspect of my business I couldn’t quite attain and accept myself. I was always aware of the fact that I did not like to sell, especially if I was selling myself and my professional services. Fortunately for me, I am relentless and determined to master every aspect of my business. Since launching my business I’ve done a lot of research and work around that subject. Just like closing a deal or posting a photo on your social media – it ignites a fire and your sales process should do the same. A sales process needs to map to the decision process of your customers. Figure out these questions and you have your sales process. How does your customer buy? What steps do they take before they agree to buy? How will your product or service change them? What support must be had? What processes must be followed? Who’s approvals must be gained? What must happen before money goes out the door? What feeling are you selling? Six months ago, I decided that instead of running from the selling process, I wouldn’t. I openly admitted and accepted that fact that I didn’t like that aspect of being a business owner – opening up to my friends and colleagues or sharing articles about supporting me made me cringe. I realize now that sales is the art of transformation and that I had to get good at empowering people to say yes to themselves and to their business. If you face it head on, it’s no longer the enemy. Great article! Love the list of questions. I look forward to reading more articles from you. Great to hear! I am happy you found the questions helpful! Such a great article and so incredibly helpful when it comes to sales and selling! 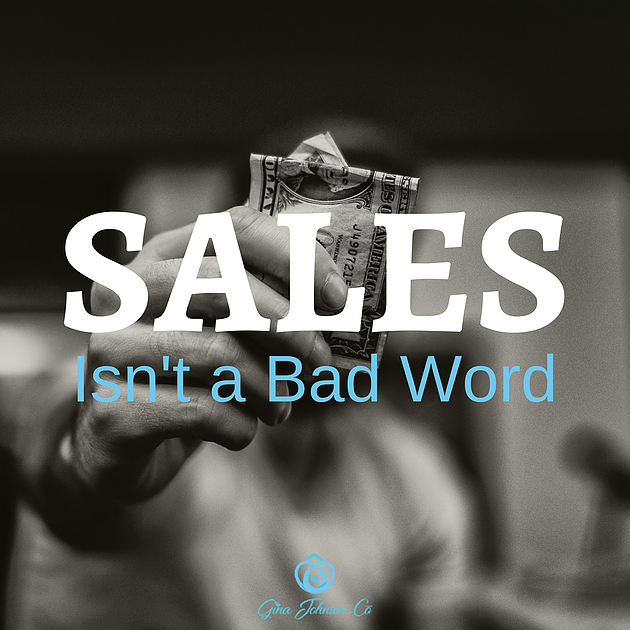 You’re right sales ISNT a bad word!